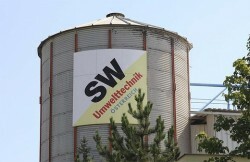 Despite the challenging market situation in CEE SW Umwelttechnik was able to increase its revenue by 4% in the first quarter 2011 and to improve the group result. Clients from industry and trade are – as expected – still reluctant. This article includes a total of 439 words.